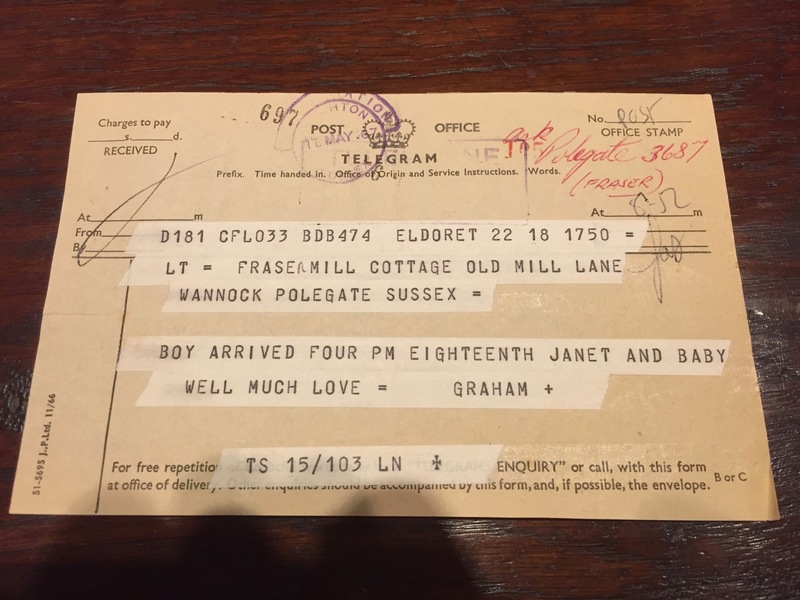 My cousin found this among my late aunt’s effects recently… it’s the telegram she received in Sussex from the small town in Kenya where I was born. Phone calls were, of course, basically impossible. How communications have changed in one lifetime! What’s really shocking is that, on top of doing all that, she also used the wrong SMTP server!